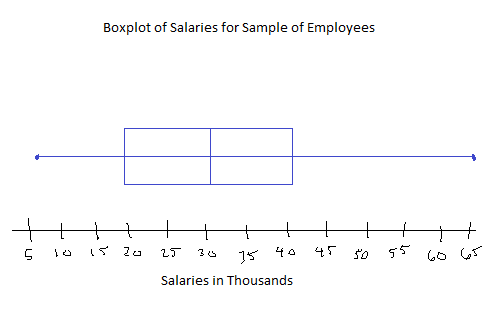 Typically, statisticians are going to use software to help them look at data using a box plot. 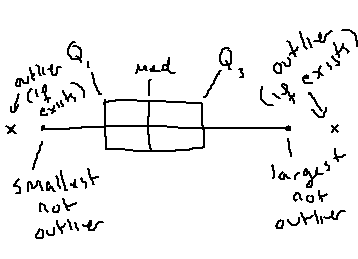 However, when you are first learning about box plots, it can be helpful to learn how to sketch them by hand. This way, you will be very comfortable with understanding the output from a computer or your calculator. In the following lesson, we will look at the steps needed to sketch boxplots from a given data set. Remember, the goal of any graph is to summarize a data set. There are many possible graphs that one can use to do this. One of the more common options is the histogram, but there are also dotplots, stem and leaf plots, and as we are reviewing here – boxplots (which are sometimes called box and whisker plots). Like a histogram, box plots ignore information about each individual data value and instead show the overall pattern. To review the steps, we will use the data set below. Let’s suppose this data set represents the salaries (in thousands) of a random sample of employees at a small company. Other than “a unique value”, there is not ONE definition across statistics that is used to find an outlier. 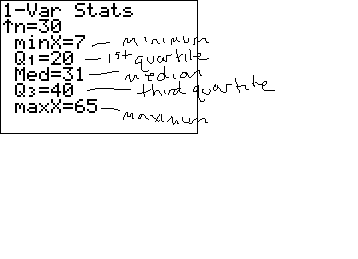 As you study statistics, you will see that different settings will use different techniques to flag or mark a potential outlier. 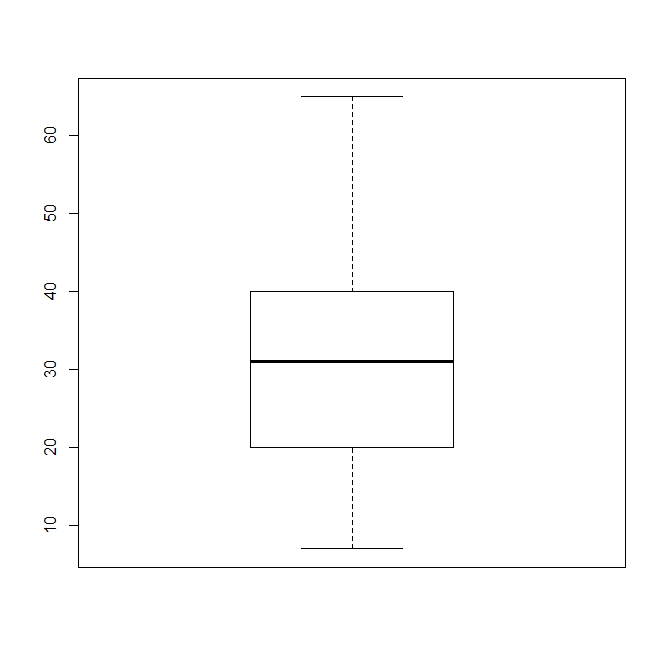 With boxplots, this is done using something called “fences”. The idea is that anything outside the fences is a potential outlier and shouldn’t be included in the main group that we graph. Instead it will be marked with a asterisk or other symbol. Since there are no values in the data set that are less than -10, there are no lower (small) outliers. Similar to the lower fence, anything data value larger than the upper fence will be considered an outlier. This is defined by the following formula. The largest value in the data set is 65, so this means there is no upper (large) outlier. Since there were no small or large outliers in the set, we can conclude there are no outliers overall.